Midgar Angelhair are a reletively thin and very mobile flashmaterial. 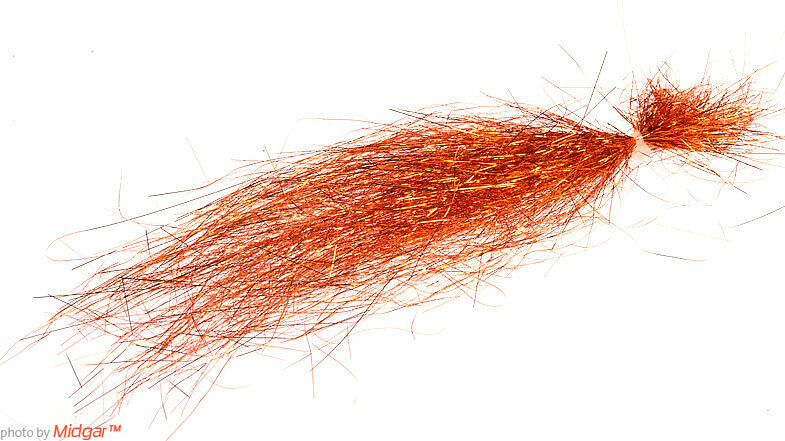 Midgar Angelhair are very well suited as a flash material mixed into hair winged or hackle winged saltwater and salmon flies, or to be used entirely in the whole body and wing, as we do in our famous Midgar Magic Minnows. Midgar Angelhair are delivered in large bags of about 20x30 cm with aobut 3 gram of material in each bag.